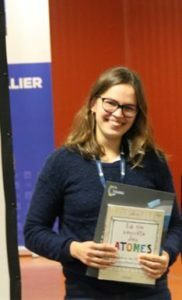 Congratulations to Journées de Chimie de Coordination 2019 Prize Winners! The 2019 Journées de Chimie de Coordination meeting was held 31st January – 1st February in Montpellier, France. These two days were organised by chemists from the four major chemistry institutes of Montpellier (ICGM, IBMM, IEM and ICSM) in order to bring together the French Coordination Chemistry community around a scientific program comprising of six plenary conferences and Oral Communication and Poster prizes. There were talks from over 20 speakers including, Jean-François Nierengarten (University of Strasbourg), Eduardo Peris (Universitat Jaume I), Clotilde Policar (Sorbonne University), Corine Mathonière (Institut de Chimie de la Matière Condensée de Bordeaux), Myrtil Kahn (CNRS) and Abderrahmane Amgoune (Institut de Chimie et Biochimie Moléculaires et Supramoléculaires). 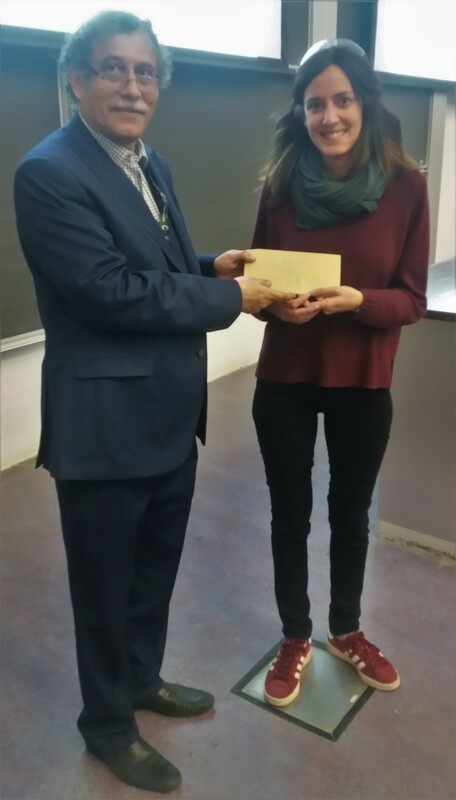 Dalton Transactions and New Journal of Chemistry sponsored a poster prize and an oral prize each. The winners received a journal certificate and a book voucher. Dalton Transactions and New Journal of Chemistry sends hearty congratulations to the winners! We would like to highlight the Outstanding Reviewers for Dalton Transactions in 2018, as selected by the editorial team, for their significant contribution to the journal. The reviewers have been chosen based on the number, timeliness and quality of the reports completed over the last 12 months. We would also like to thank the Dalton Transactions board and the inorganic chemistry community for their continued support of the journal, as authors, reviewers and readers. The 2018 Dalton Transactions University of California, Berkeley Lecture is Professor Brandi Cossairt, at the University of Washington. 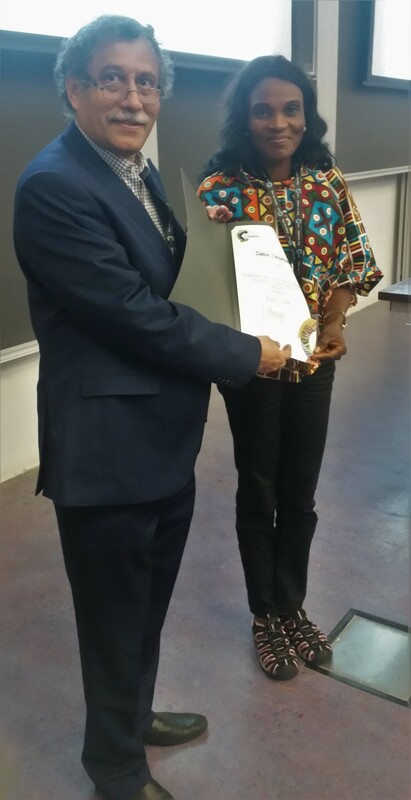 The Lecture recognizes independent early career researchers who have made a significant contribution to the field of inorganic chemistry. The academic selected to give the lecture receives the opportunity to present at UC Berkeley, a plaque, a $500 honorarium, a dinner and an invitation to publish in Dalton Transactions. Abstract: Research in the Cossairt lab is focused on the solution-phase synthesis of chemical systems capable of sunlight absorption, color-pure emission, charge transfer, and fuels generation. Towards this end we seek to address fundamental challenges in the field of inorganic chemistry, specifically controlling the composition, structure and function of nanoscale light absorbers and catalysts, and controlling the interactions between them. This talk will focus primarily on our efforts to understand the precursor conversion reactions, nucleation and growth mechanisms, and approaches to the post-synthetic transformation of indium phosphide quantum dots for use in solid-state lighting and displays. This research has catalyzed a number of other areas of investigation including the synthesis of other pnictide-based nanomaterials for use in light harvesting and catalysis that will also be discussed. Brandi Cossairt was born and raised in Miami, Florida. She is a first-generation college graduate, having obtained her B. S. in Chemistry from the California Institute of Technology in 2006. Brandi went on to pursue graduate studies at the Massachusetts Institute of Technology under the guidance of Professor Christopher C. Cummins and was awarded her Ph.D. in 2010. She then continued her academic career as an NIH NRSA Postdoctoral Fellow at Columbia University between 2010 and 2012 working with Professor Jonathan Owen. 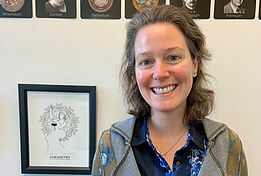 Brandi joined the Department of Chemistry at the University of Washington as an Assistant Professor in 2012 and was promoted to Associate Professor with Tenure in 2018. 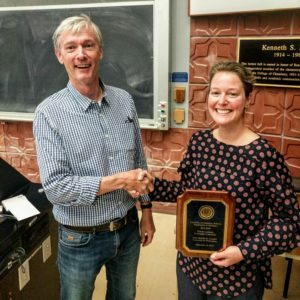 She has received a number of awards for her research including a Sloan Research Fellowship, a Packard Fellowship, an NSF CAREER Award, a Dreyfus Teacher-Scholar Award, and the National Fresenius Award from the American Chemical Society. Outside of the lab Brandi is an Associate Editor at the ACS journal Inorganic Chemistry and is the co-founder of the Chemistry Women Mentorship Network (ChemWMN). “Insatiable curiosity and a love of mentorship. I never tire of asking new questions and trying to develop strategies to answer them. Getting to share the beauty and excitement of science with the next generation is also extremely fulfilling. Previous recipients include Jillian Dempsey, Kit Cummins, John Hartwig, Geoff Coates, Paul Chirik, Dan Mindiola, Teri Odom, Daniel Gamelin, Trevor Hayton, Christine Thomas, Mircea Dinca, and Alison Fout. An online collection of recent Dalton Transactions papers by recipients of the lecture can be found here. Graphical abstract of Brandi Cossairt’s recent publication in Dalton Transactions. In November Dalton Transactions is holding a series of symposia on the theme of Advancing Inorganic Chemistry. These one-day meetings will be held in three different cities – Tianjin, Nanjing, and Shanghai – and feature presentations on the cutting edge of inorganic chemistry by leading researchers from around the world. Richard Layfield (University of Sussex, UK), Nils Metzler-Nolte (Ruhr-Universität Bochum, Germany), Sascha Ott (Uppsala University, Sweden), and Christine Thomas (The Ohio State University, USA) will be joined by Guanqun Song (RSC Editorial Development Manager – Beijing) and Andrew Shore (Executive Editor – Dalton Transactions) as well leading researchers from the host cities. 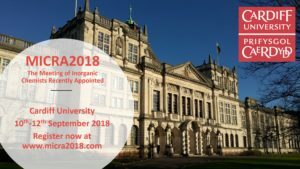 The symposia give anyone with an interest in inorganic chemistry the opportunity to speak to leading researchers in the field as well as RSC editorial staff. There will also be poster sessions, giving early career researchers the chance to discuss their research in a relaxed setting. We’ve put together a web collection of recent papers in Dalton Transactions by speakers and hosts at these events, or see below for more details and links to the registration pages for each event. Hosted by Xianhe Bu (Nankai University) and featuring Chunming Cui (崔春明) (Nankai University), Yi Ding (丁轶) (Tianjin University of Technology), Lingdong Sun (孙聆东) (Peking University) and Ruqiang Zou (邹如强) (Peking University). Hosted by Jinglin Zuo (Nanjing University) and featuring Jian-Ping Lang (郎建平) (Soochow University), Ming-Liang Tong (童明良) (Sun Yat-Sen University), Hai-Long Jiang (江海龙) (University of Science and Technology of China), and Jing Zhao (赵劲) (Nanjing University). Hosted by Dalton Transactions Associated Editor Guo-Xin Jin (Fudan University) and featuring Qiaowei Li (李巧伟) (Fudan University), Yingfeng Han (韩英锋) (Northwest University), Chi Zhang (张弛) (Tongji University), and Yong Cui (崔勇) (Shanghai Jiao Tong University). Earlier this month the Workshop on Silicon Nanoparticles was held in Bertinoro, Italy. Organised by Dalton Transactions Associate Editor Paola Ceroni (University of Bologna), the workshop gathered world-renowned scientists in the field of silicon nanocrystals and porous silicon, such as Leigh Canham (University of Birmingham, UK), Michael Sailor (University of California, San Diego, US), and Brian Korgel (University of Texas at Austin, US). The workshop was a great success, providing a forum to discuss the latest developments in the field and the most debated aspects related to properties of silicon nanoparticles. Dalton Transactions was pleased to provide awards to the best Oral and Poster presentations. Attendees of the workshop, featuring Dalton Transactions presentation award winners (labelled). More information about the workshop can be found on the website. Dalton Transactions offers a huge congratulations to both of the presentation winners! 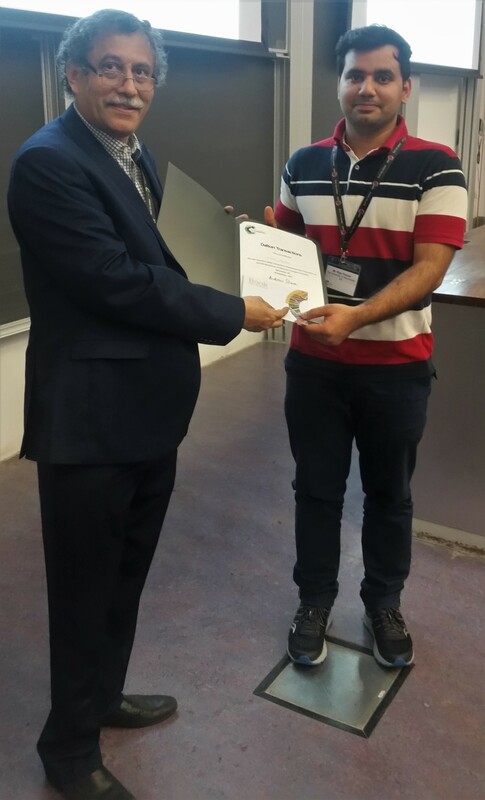 This September saw the occasion of the UK-India Symposium on Advances in Inorganic chemistry, held at The University of Manchester. Jointly organised by the Royal Society of Chemistry and the Chemical Research Society of India, it is the fourth such meeting held in the UK. The purpose is encourage collaborations and discussion by bringing together world-renowned researchers from the respective countries. 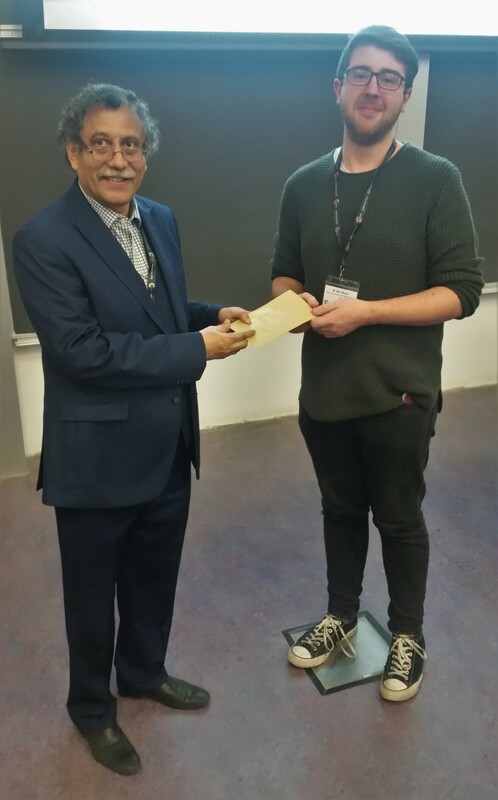 Dalton Transactions Editorial Board member V. Chandrasekhar (Tata Institute of Fundamental Research, Hyderabad) gave an excellent lecture on multiple bonding between heavier main-group elements. 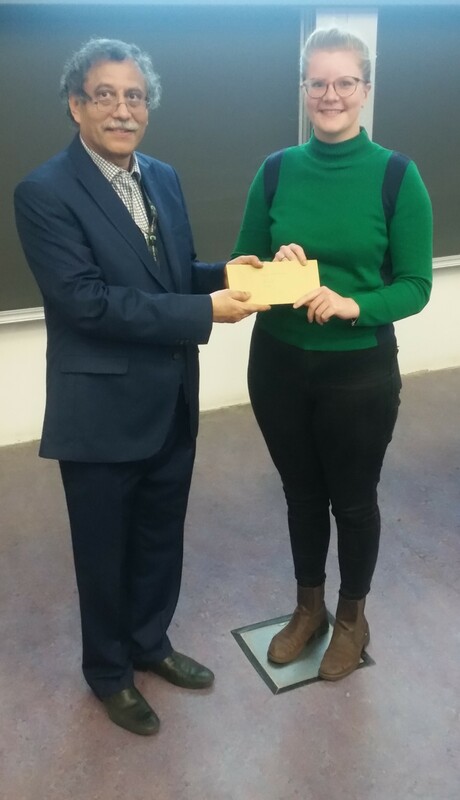 The journal was also on hand to provide prizes to the best poster presentations by early-career researchers. 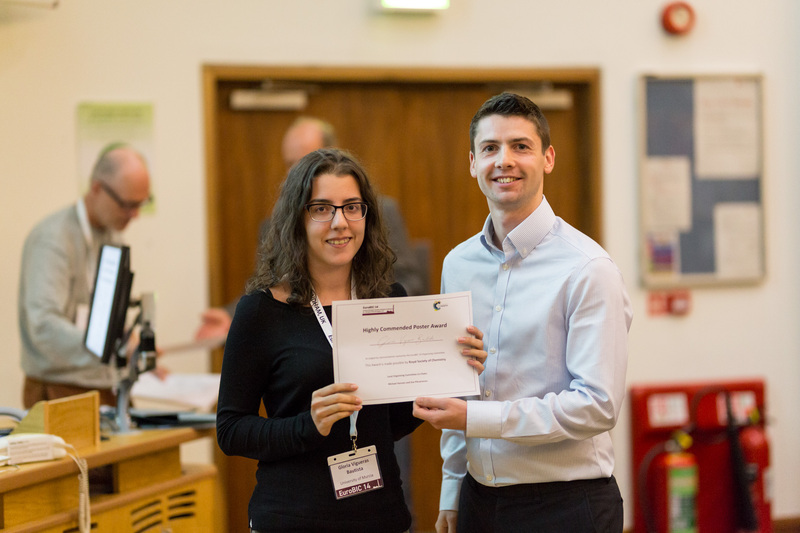 Poster prizes were also awarded by The University of Manchester to Benjamin L. L. Réant, Jessica Cid, and Rosie Magnall. Dalton Transactions offer a huge congratulations to all poster prize winners! 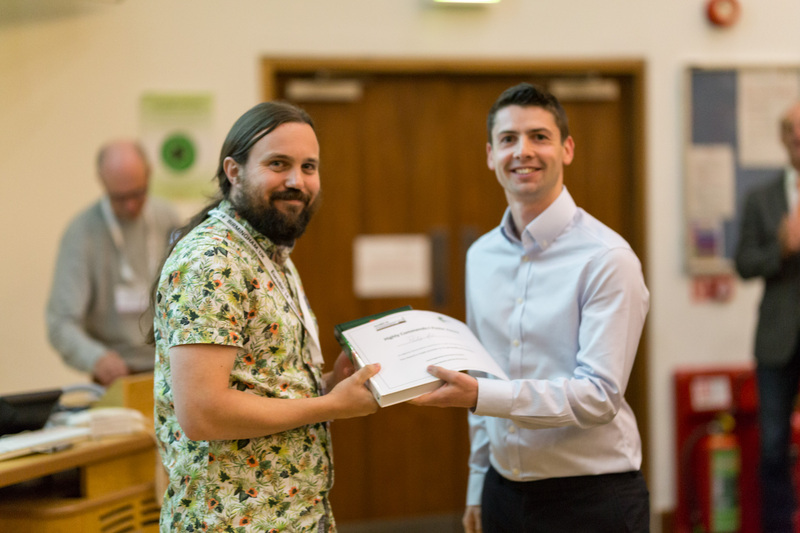 Congratulations to the EuroBIC poster prize winners! 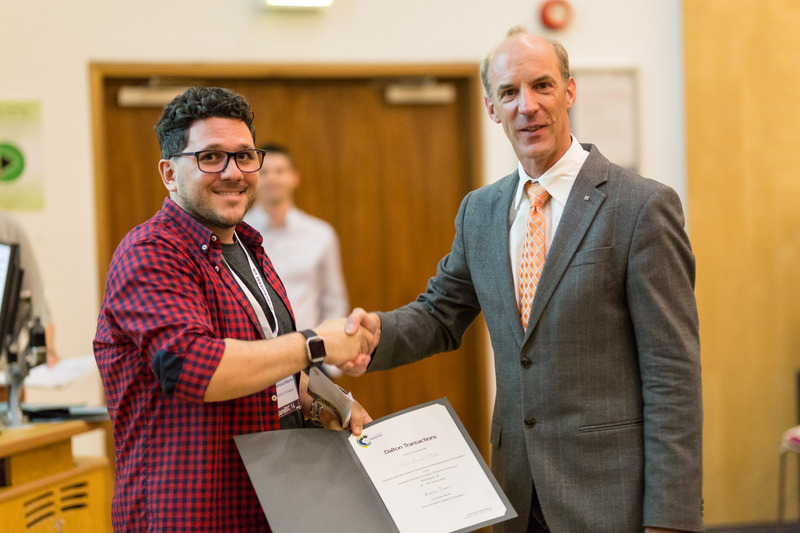 This August saw the occasion of the 14th European Biological Inorganic Chemistry Conference (EuroBIC), held at the University of Birmingham in the UK. With an excellent line up of internationally renowned plenary and keynote speakers the event was a huge success, attracting around 400 attendees. 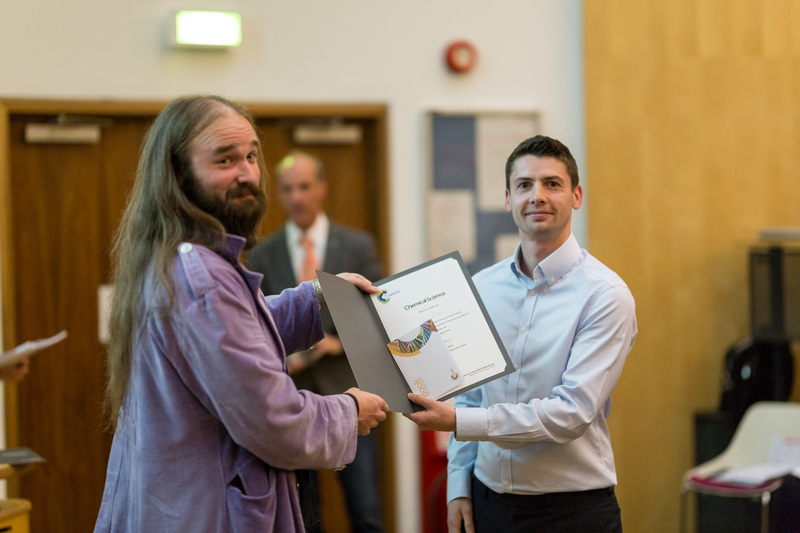 Dalton Transactions associate editor Nils Metzler-Nolte (Ruhr-Universität Bochum) and Chemical Science assistant editor William King were on hand to award the prizes. 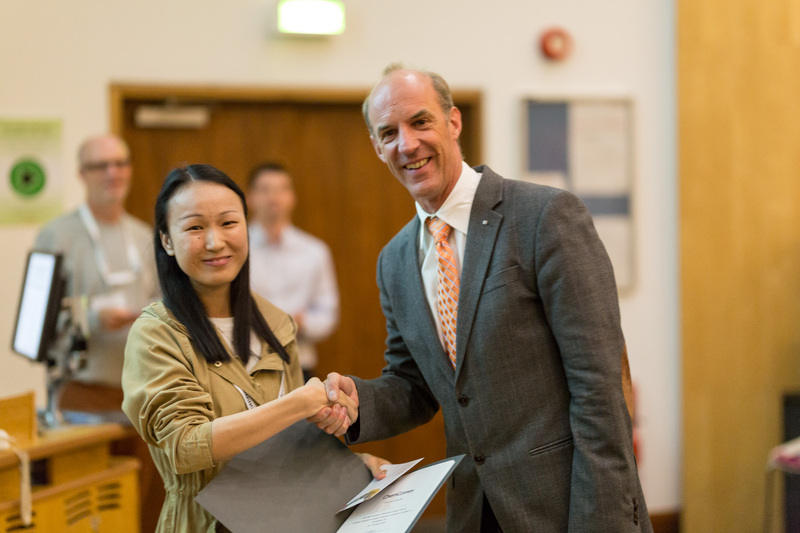 The RSC offers a hearty congratulations to all poster prize winners! Next year the 19th International Conference on Biological Inorganic Chemistry (ICBIC 19) will be held in Interlaken, Switzerland – August 11th to 16th. The next European Biological Inorganic Chemistry Conference (EuroBIC 15) will be held in Reykjavik, Iceland, in August 2020. Congratulations to the JSCC Award Winners! 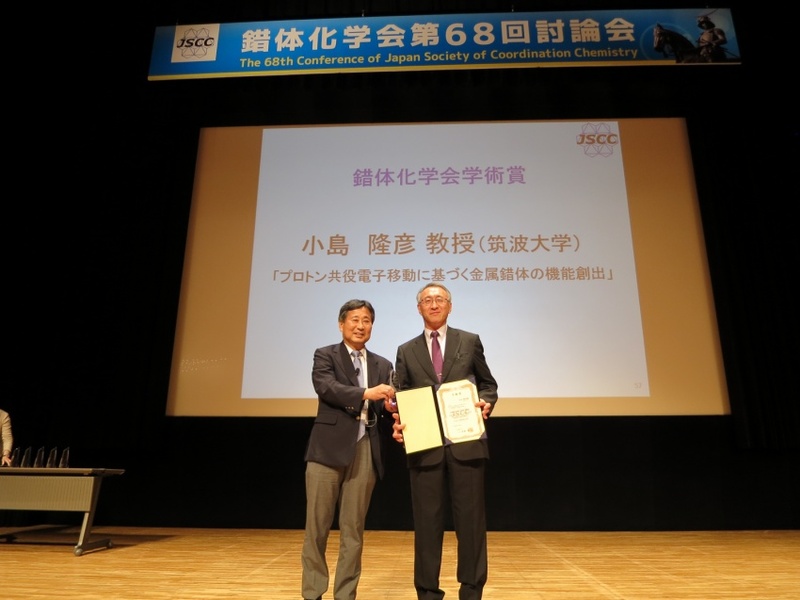 This July saw the occasion of The 68th Conference of Japan Society of Coordination Chemistry (JSCC), held in Sendai. The event was a great success, featuring over 200 talks in both English and Japanese spread over six sessions as well as almost 300 posters. 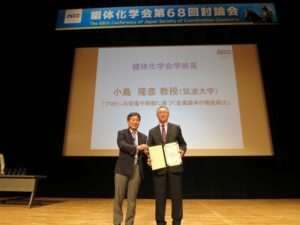 Professor Takahiko Kojima (right) receiving his JSCC Award for Creative Work from Professor Hiroshi Nishihara, JSCC president (left). Dalton Transactions is pleased to sponsor the JSCC Award for Creative Work. 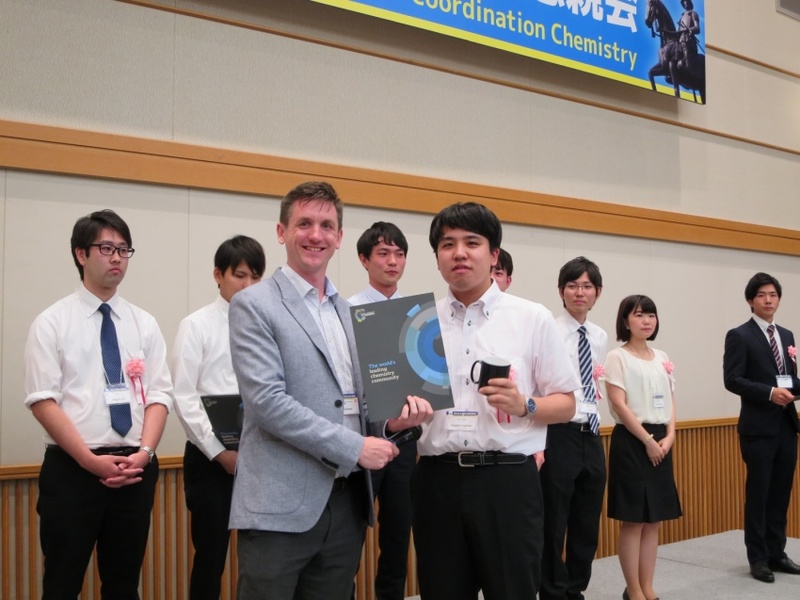 This year the award was won by Professor Takahiko Kojima, who gave an excellent award lecture entitled Development of Functionality of Metal Complexes Based on Proton-Coupled Electron Transfer. 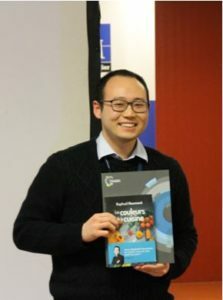 Professor Kojima has been at the University of Tsukuba and has published over 150 works, including a recent review on the Characteristics and reactivity of ruthenium-oxo species. 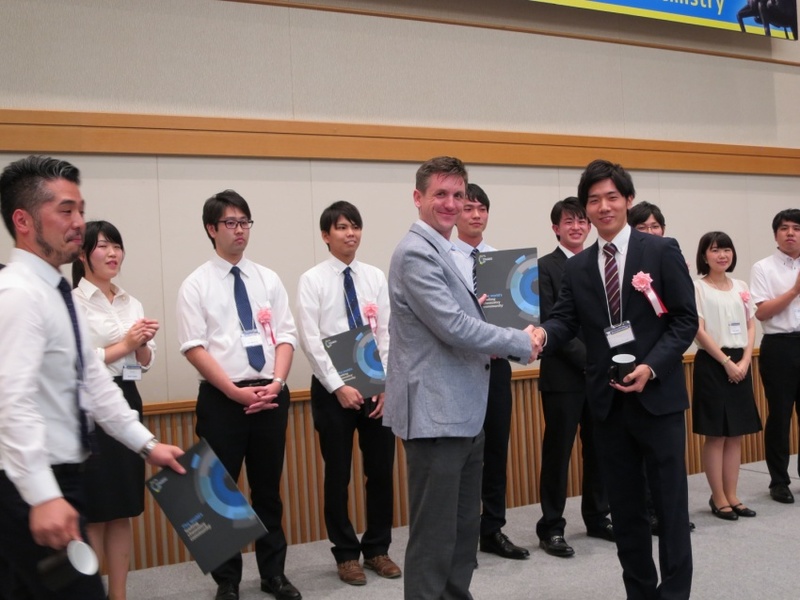 Dalton Transactions‘ Deputy Editor, Mike Andrews, and the RSC’s Editorial Development Manager for Japan, Hiromitsu Urakami, were on-hand to award poster prizes for the best student poster presentations. The poster prize winners received a journal certificate and a colour changing RSC mug! 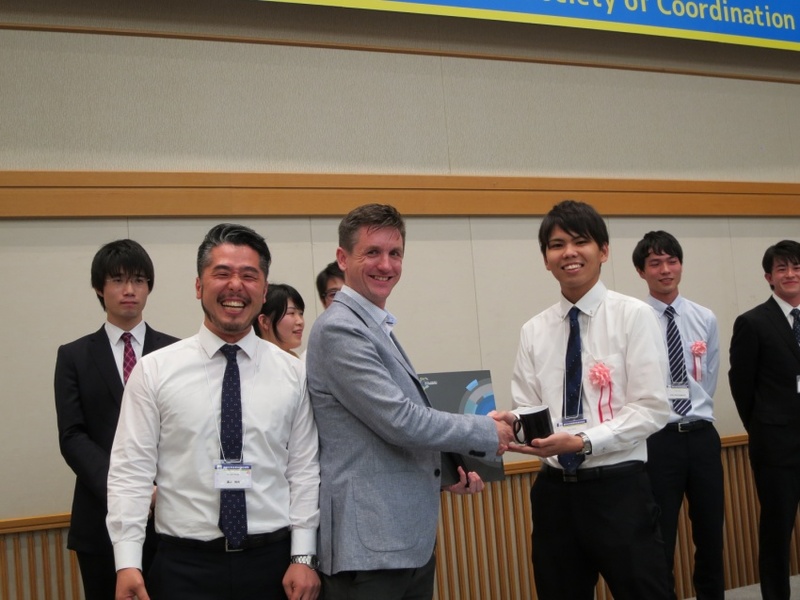 The RSC offers a hearty congratulations to prize winners at the JSCC! Chemical Communications, Chemical Science and Dalton Transactions are pleased to sponsor the 2018 Meeting of Inorganic Chemists Recently Appointed (MICRA). This biennial event is being organised by Dr Timothy Easun and Dr Rebecca Melen from Cardiff University, and is taking place on 10 – 12 September 2018 at Cardiff University in Wales. 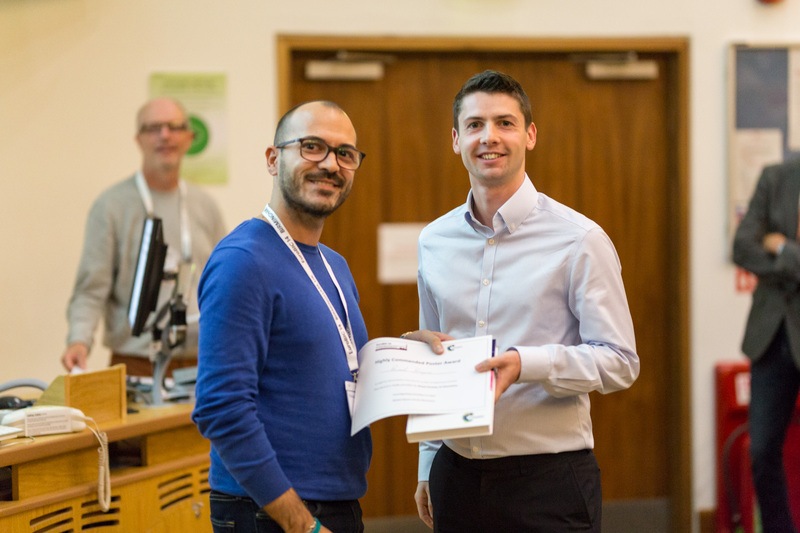 The meeting brings together junior inorganic chemistry academics from across the UK to help aid their development into independent researchers through networking and exchanging experiences. MICRA 2018 will have exciting talks from experts such as Paul Saines (University of Kent), Timothy Easun (Cardiff University) and Rebecca Melen (Cardiff University).